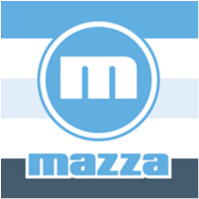 Mazza Espresso joined our Mission to help provide access to “Clean Water for All by 2030”. This Mission was initiated by the United Nations. A big thank you to Mazza Espresso’s team and customers for joining this extremely important mission on 15 March 2018. "By far the best lunch in North Sydney. There isn't a dish that is not hearty, clean and cost effective. Their specials are actually specials, their staff are so helpful and friendly and the service is amazingly quick. I would recommend this for any occasion, business meeting or friendly catch up. Get there early!"